Love this. Matches my kitchen colors perfectly. Use it in my kitchen table chairs. 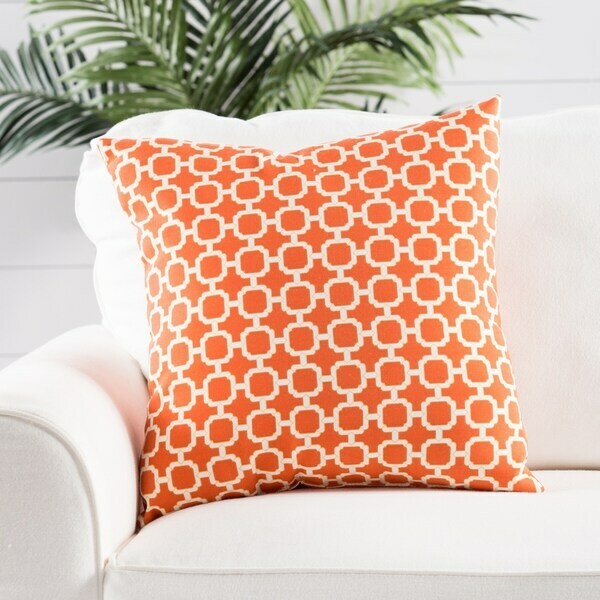 This stylish decorative pillow features attractive knife edging with a comfortable polyester cover. The elegant geometric pattern accents your decor with ease. Good quality pillow! We like the pattern. Nice outdoor pillow. Image on website is an accurate representation. Has held up really well over a couple of seasons. Would definitely recommend to a friend. I like my throw pillows to be very firm so these are perfect. I purchased two for a pop of color in our living room and they are great.